Since this blog covers both equine rescue, and behind-the-scenes stuff, I thought it would be appropriate to feature prominent Derby hat designer Polly Singer, who is currently donating a portion of her proceeds to the Kentucky Equine Humane Center. Singer, who has a contagious laugh and bubbly personality, grew up in Georgetown and spent her summers in college volunteering at the Kentucky Horse Park. “I love anything to do with animals--especially horses--and rescue work has always been a passion of mine,” said Singer, who will give $30 to the Nicholasville, Ky.-based horse rescue each time she sells one of three Derby-themed hats currently featured on her website. Singer, who lived in New York and worked in the music business upon graduating from Hollins University in Virginia, fell into hat designing by accident. One morning while getting ready for work, she had to put on a hat because a hairbrush became stuck in her hair, and her bad hair day became a start of a new career. After studying at the Fashion Institute of Technology in New York City, where she learned to design hats, Singer started her internet-based company, Polly Singer, Couture Hats and Veils, in 2003. While she enjoys the creativity behind her full-time profession and the freedom of her schedule, Singer said this year she was looking to use her talents to benefit another one of her passions—animals. 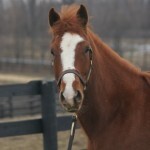 “I was looking for an animal organization doing horse rescue,” Singer said. 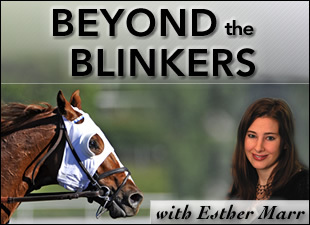 I know with the economy…the horse industry just got slammed, and many people don’t have an idea of what it’s like, and how so many people are giving up their horses." Singer said one of the things that stood out to her about KyEHC was the fact it provides shelter and humane treatment and seeks adoptive homes for all of Kentucky’s unwanted equines, regardless of breed. 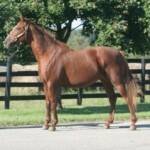 According to its website, the other aspects of KyEHC's mission are to educate the public and raise awareness for responsible equine ownership so that fewer horses end up in crisis; to work with and serve as a model for organizations with the same mission in other states; and to save America's equines from inhumane treatment. Singer said she would continue donating proceeds for the three Derby hats throughout the summer to the KyEHC. To learn more about this organization, visit http://www.kyehc.org/. In the past, Singer has fashioned hats for all sorts of celebrity types, such as Star Jones, TVG personality Christiana Olivares, local news anchors, and several well-known owners from different stables. 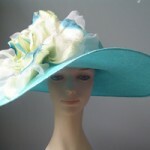 With prices ranging from $290-$500, each hat is made locally. 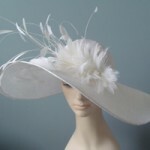 Visit http://www.hatsandveils.net/blog/ to read Singer’s blog about her hats that will benefit the KYEHC.